A commercial refrigerator is essential to your establishment, cooling all your beverages and ingredients to perfection. That’s why it’s important to perform routine upkeep on your unit between routine service visits. So what do you need to do on a regular basis? 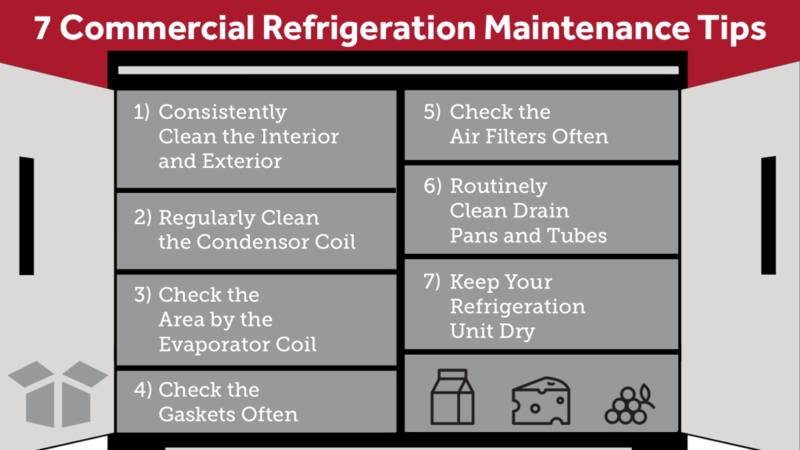 These helpful commercial refrigeration maintenance tips below will keep your unit clean and running strong. 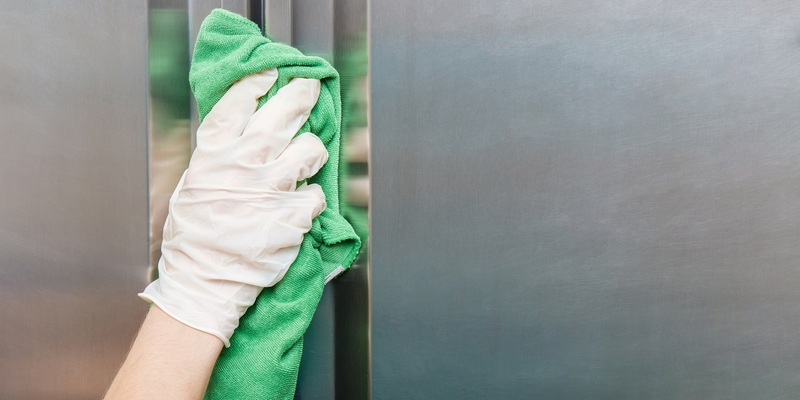 Try to schedule a thorough cleaning of your entire refrigeration unit on a weekly or biweekly basis. Remove items from the interior, and place them in another unit or temporary cooler. Using a soft brush, scrub the shelves and surface with warm water and soap or a vinegar solution. If you can remove any drawers and shelving, soak them for a while and rinse when clean. The exterior of your unit also should be cleaned regularly. It’s important to use proper cleaning solutions and materials on a stainless steel exterior. Avoid using abrasive scrubbers or sponges as well as chlorine cleaners. Instead, use a wash cloth or soft brush to clean the surface. A combination of warm water and a vinegar or detergent-based solution works best for routine maintenance. If you need to remove grease or baked-on food, consider using a baking soda paste or an appropriate stainless steel degreaser. You should clean your commercial refrigerator or freezer’s condenser coil routinely. Most manufacturers recommend cleaning once every three months, and many manuals provide specific cleaning tips. If dirty or dusty, the cabinet temperature can rise and potentially cause other components to fail. The coil is located near the unit’s condenser. Disconnect power to the unit, and use a stiff bristle brush to remove dust and dirt. Then, clear any remaining remnants with a strong vacuum or air compressor. Check out our guide on cleaning condenser coils or your equipment manual for more detailed instructions. Your manual should provide specific degreasing tips, which are crucial if your unit is in a kitchen near fryers or griddles. Like the condenser coil, the evaporator coil is a vital component to your commercial refrigerator. 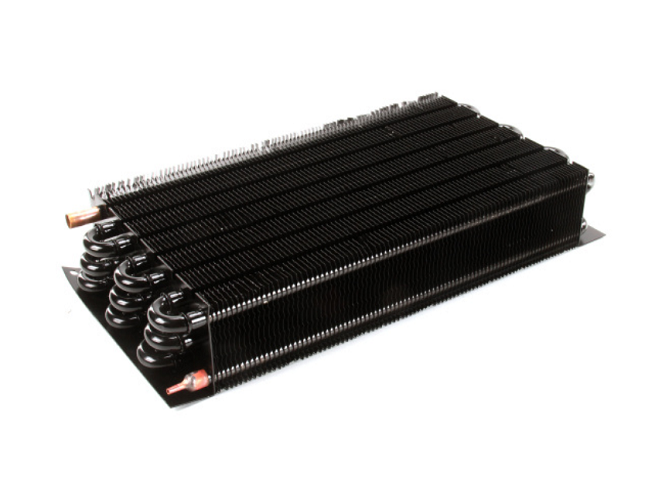 The evaporator coil is located by the evaporator fan and is responsible for absorbing heat as warm air passes through the refrigeration system, helping cool the unit’s interior. Make sure to keep the surrounding area near the coil clear and clean on a consistent basis. You should avoid cramming the interior with a lot of items, especially if they’re piping hot. Blocking airflow by the vents inside the unit can cause the coil to freeze, leading to water leaks and a rise in cabinet temperature. The door gaskets are essential to any commercial refrigeration unit. Any type of split or crack can prevent the door from sealing shut, causing cool air to exit the fridge’s interior. If a gasket is broken, make sure to replace it with the appropriate manufacturer recommendation. For instance, when replacing a True refrigerator gasket, you must use the gasket associated with your unit’s serial and model number. If there are no splits or cracks, you should still routinely clean the gaskets to prevent any damage. This should be done more often if the unit is in a commercial kitchen where grease is regularly used. Too much grease and dirt can wear out your gaskets over time. Grease and dust from your fryers and griddles also can be a hassle on your commercial fridge’s air filters. A large buildup can prevent air in the unit from ventilating properly so that’s why routine cleanings are essential. Remove any dust or loose debris with a powerful shop vacuum, and use degreasing solution to eliminate any thick grease. Consult you unit’s service manual for tips on how to properly degrease the filter. Too much grease and dust can damage the air filter. If you notice splits from the debris, make sure to replace the filter immediately. A large commercial refrigerator or freezer can attract a big amounts of sludge and slime, which can cause your unit to freeze up. 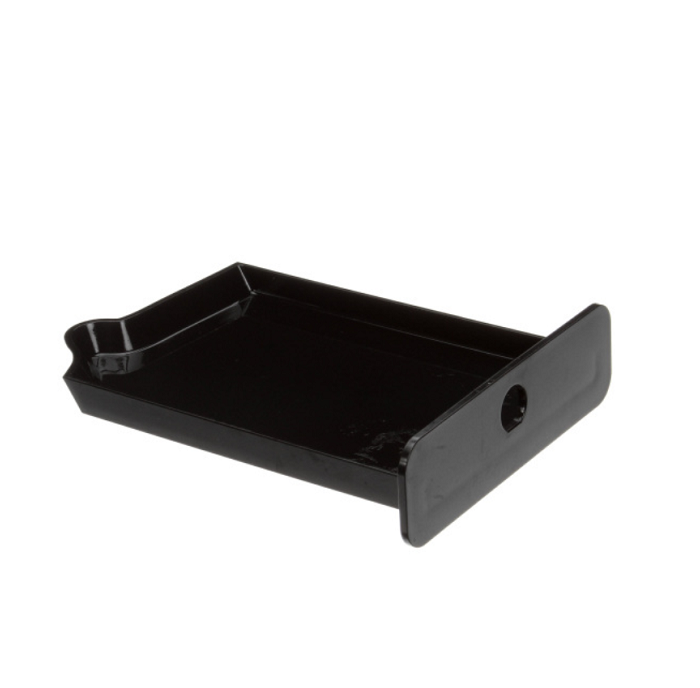 Make sure to check your drain pan and any tubing that could experience frequent buildups. If your drain pain overflows with moisture and sludge, it can emit a pungent odor throughout your kitchen space. Clean the pan at least once a month using a vinegar solution or with soap and warm water. Excess grime also can cause drain tubes to clog. Try to check the tubing every couple of months to prevent a significant blockage. When there is a major clog in your drainage hoses, it cause an overflow in your defrost system that leaks onto your floor. If you notice calcium or water spots on the exterior of the hoses, clean them with soap and water to prevent any future wear. Be sure to wipe up any liquid that accumulates on the shelving or surface of your reach-in unit. Too much moisture can cause your refrigerator or freezer to freeze up over time. You not only should clean up spills immediately, but you also should check for moisture buildups at least once a week. This maintenance schedule applies for a walk-in unit as well. Removing moisture from the floors of your fridge can reduce the number of slips and falls that occur.